I disguise lack of discipline as following my heart. I’m still not sure when one is not the other. 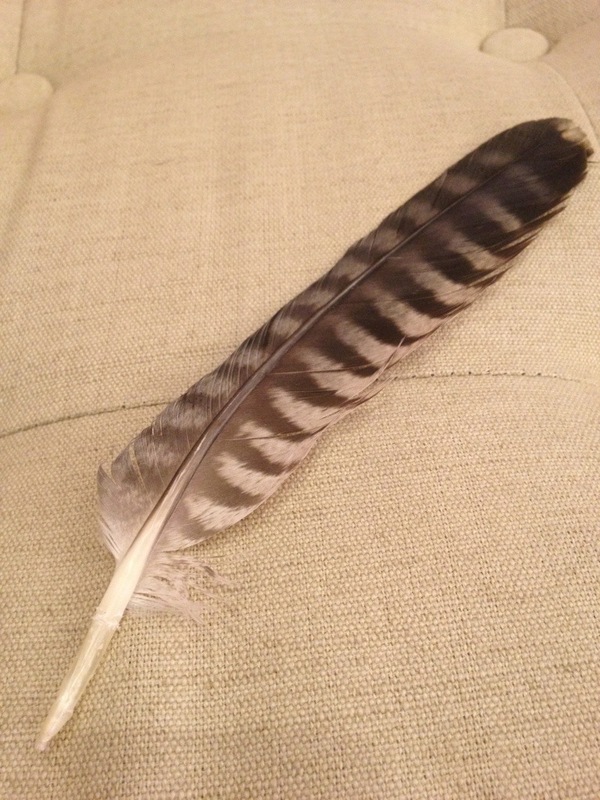 I found an owl feather today. Rode up Webster on the bicycle & noticed fatigue in my glutes. Did not stretch. Ate ice cream & pie. I feel itchy, bloated & uncomfortable. Allowed myself a soy latte. This fulfills both virtue & vice at once. Felt freer today than I have in a while. Many little lettings go. Looking up the possible maker of the feather I found in the bike lane was fascinating. Possibly Great Horned Owl. I feel blessed. I got a lot done today without feeling pressed for time. This entry is filed under Project 40. And tagged with Project 40.02. You can follow any responses to this entry through RSS 2.0. You can leave a response, or trackback from your own site.